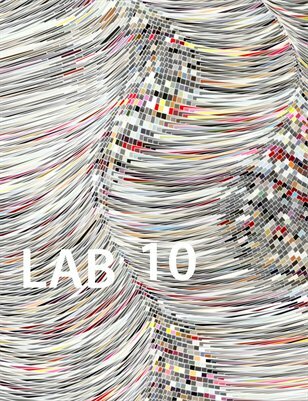 What’s in LAB 10? ArchiMusic and Animals in Moiré. CMYK embroidery by Evelin Kasikov and anti-matter portraits by the Miaz Bros. High heels by Silvia Fado and an Inspiration Pad by Marc Thomasset. What else? Sound wave forms by Anna Marinenko, artwork by Holger Lippmann, and generative art by Casey Reas. Photography by Christoper Domakis, Emmanuel Coupé Kalomiris, and Martin Klimas.